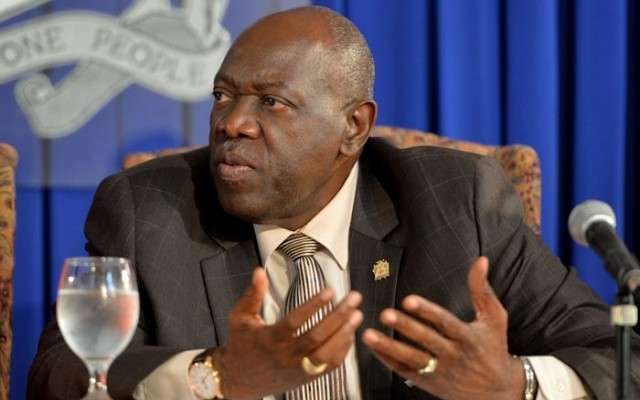 The embattled Health Minister, Dr. Fenton Ferguson, is under more pressure this afternoon over his comment in Parliament yesterday that the majority of babies who’ve died in the bacteria outbreaks are not to be considered babies in the real sense. Dr. Ferguson came under sustained fire in the House yesterday following his comment. Since then he’s under attack on social media and radio talk shows for his comment. He’s accused of being wicked, heartless and insensitive as users of traditional and non-traditional media vent their anger. Today at the Jamaica House media briefing, Information Minister, Senator Sandrea Falconer, said Dr. Ferguson asked her to clarify the comment on his behalf.